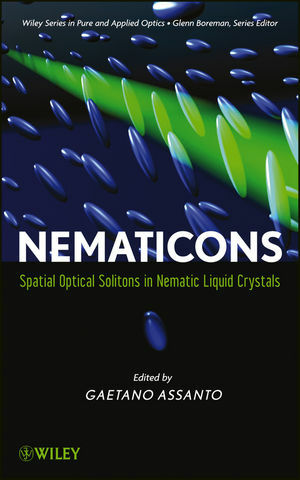 The first book of its kind to introduce the fundamentals, basic features and models, potential applications and novel phenomena and its important applications in liquid crystal technology. Recognized leader in the field Gaetano Assanto outlines the peculiar characteristics of nematicons and the promise they have for the future growth of this captivating new field. GAETANO ASSANTO, PhD, is Professor of Optoelectronics at the University of Rome, where he heads the Nonlinear Optics and OptoElectronics Lab. He is Fellow of the Optical Society of America and a Senior Member of the IEEE Photonics Society.